Dear Diary – Modenus and friends just returned from a whirlwind tour of the four shows that make up the London Design Festival, and I am here to tell you that our ‘design’ cups runneth over. 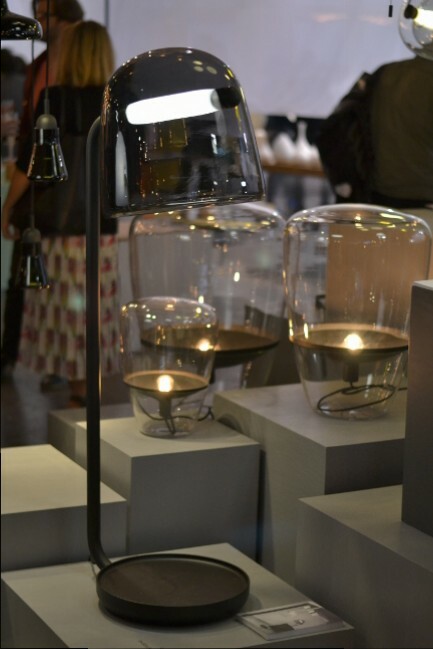 Our first ohh and ahh (we will get to the tea cups in a minute) was seeing the delicious hand-blown lights from Rothschild & Bickers, a glassblowing studio based in Hertford, UK. 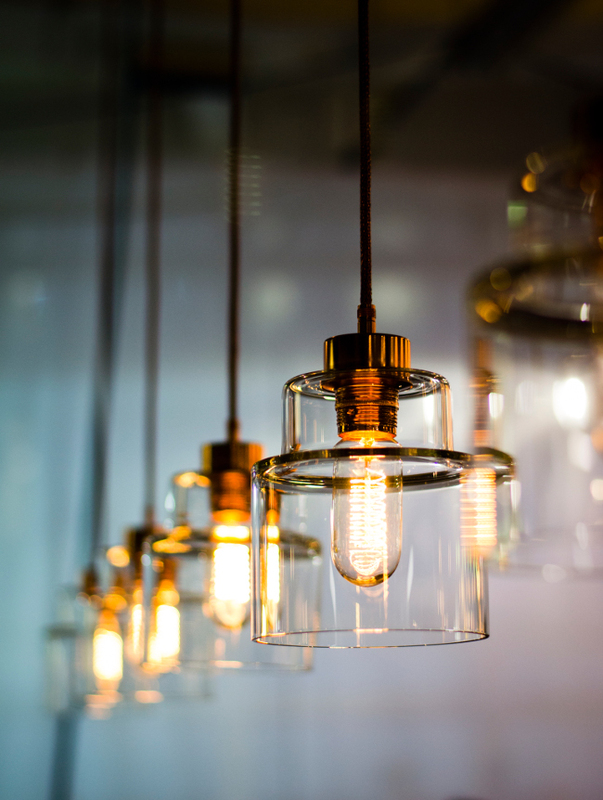 Their product mix ranges from Funky Victorian (our term) to delicate florals and at Design Junction a decidedly retro collection called Empire which featured corkscrew filaments and clear cylindrical glass (the better to show the innards.) 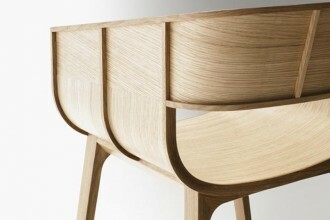 The supporting wires were braided metal and the fittings either copper or zinc. 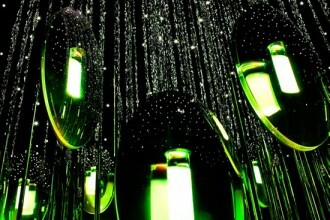 They illuminated the rather dark exhibit space with a warm reflective glow. 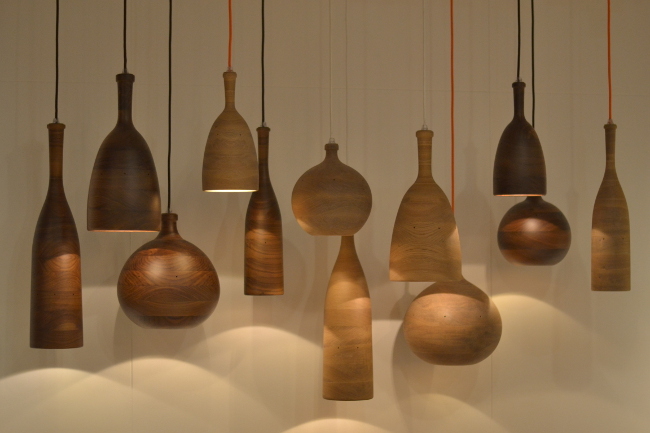 And speaking of wood – not to be outdone were the elegant wooden pendants from Channel, a British furniture studio founded by Samuel Chan. 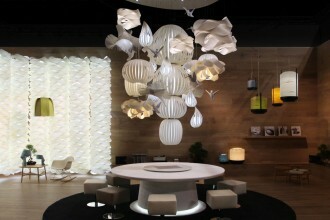 You can clearly see how Chan’s expertise in furniture design has translated to this lovely lighting collection. 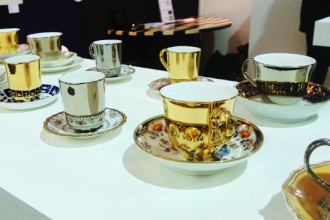 Let us now do a little happy dance while paying tribute to Richard Brendon and his lovely, lovely china. 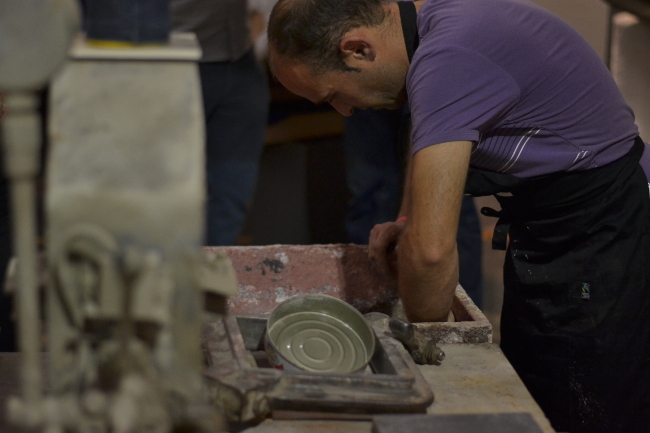 Richard is a London-based designer and ‘British bone china specialist’ (don’t you wish you could claim the same?) You might not think his work would do well in the Sorting Office’s industrial design raw space but au contraire my fellow design junkies – his tea cups shone like glittering diamonds. What really knocked our socks off were his Gold Reflective tea cups. Sly Richard has an entirely different take on patterned china. 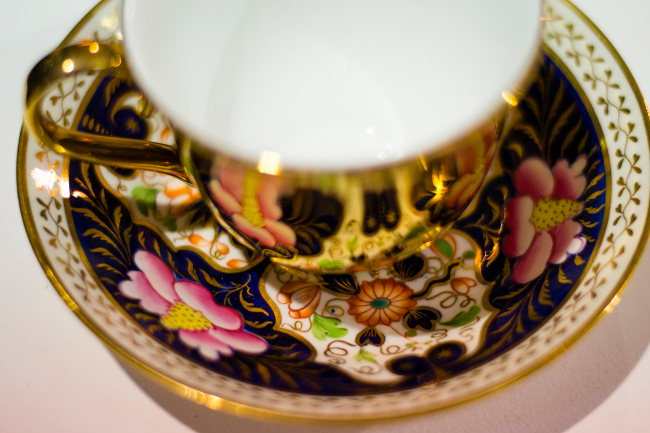 The tea cups are gilded gold and when set upon the patterned saucers you almost cannot tell that the cup is NOT patterned. Brilliant. 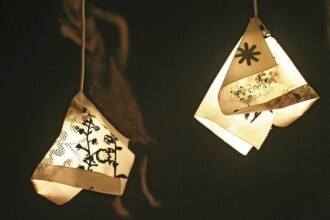 He also launched a new collection called ‘Speck’ which is china decorated with seemingly random dots. A contemporary yin to the Gold Reflective yang. 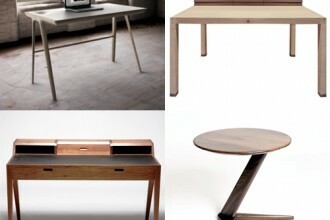 So what else was Design Junction ‘about’? Textures, textures, textures! 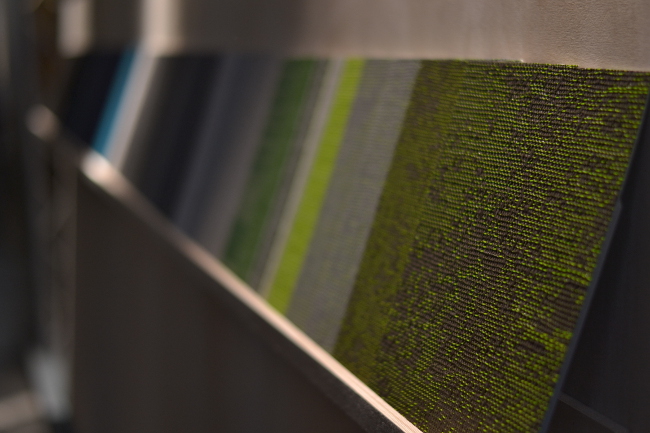 Mixed use of fabric and finishes. 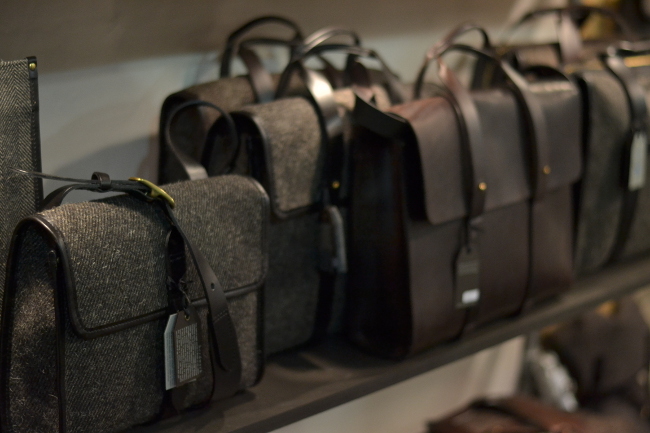 We drooled over the selection of bags from Cherchbi, the leather goods and accessories brand. 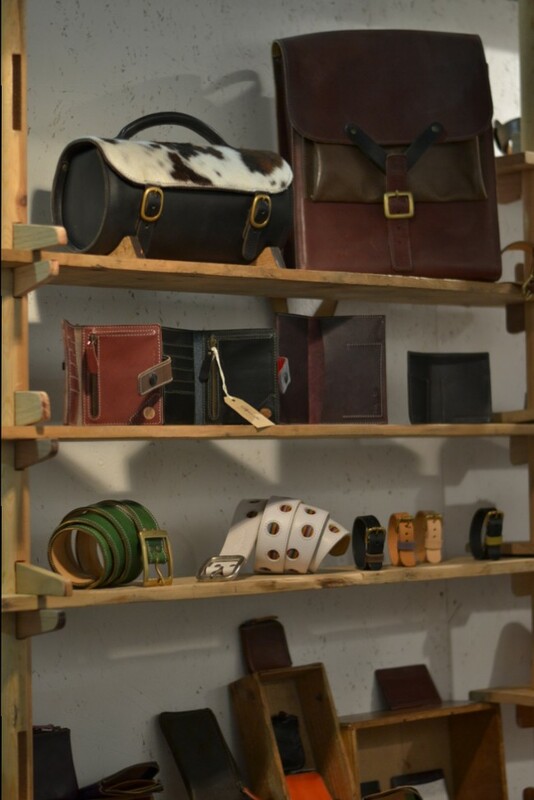 Their mix of tweeds and vegetable-tanned English saddle leather was a stand out in a sea of lighting and furniture – and by the way – if you are wondering what to get me for my birthday (or Christmas) – but I digress. This was just day one! 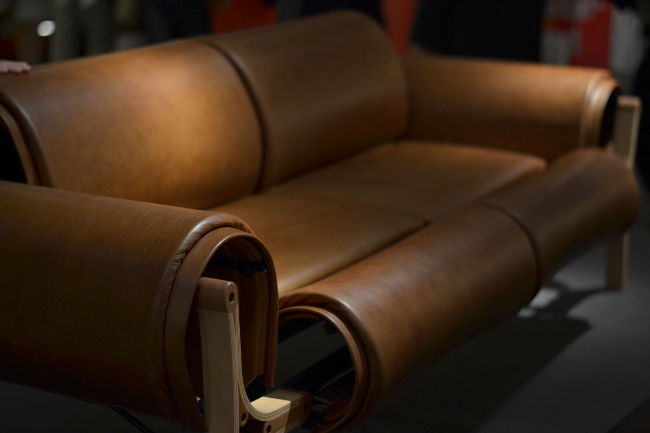 The architect Christian Valdes presented his take on textures with his sensual leather and wood seating. 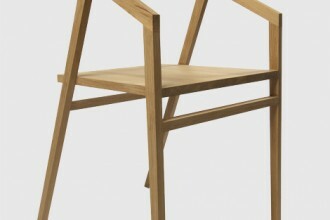 The leather was wrapped around the legs in a way that made the entire piece seem slightly aged (imagine old and worn smoking chairs) while at the same time contemporary. Nicely done! 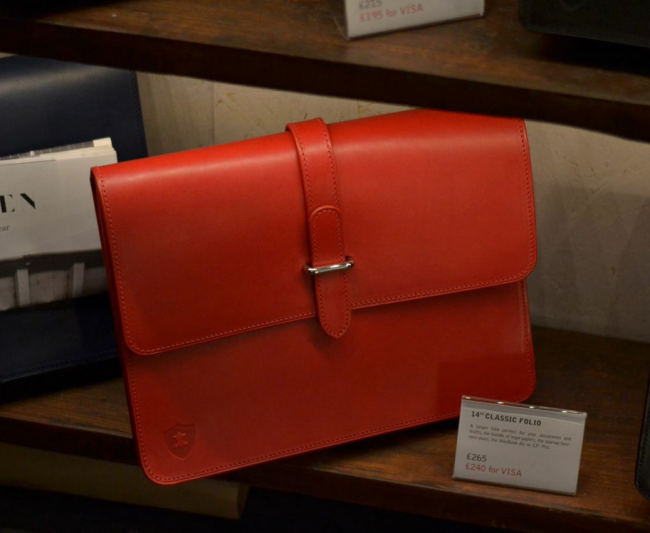 We loved the striking read case at Holdall & Co, which girl doesn’t need one? 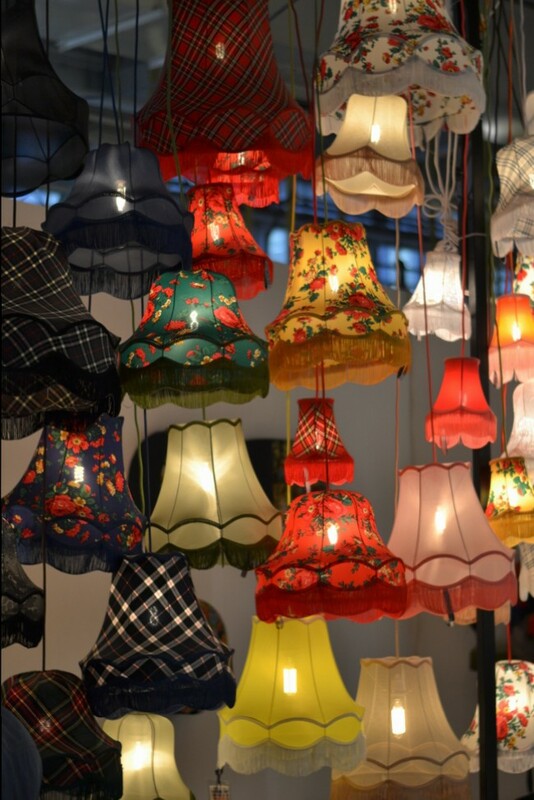 If you were jonesing for some funky, fringed lamp shades- Bobo Boom had that covered. And file this under, “we need to figure out more ways to use their products’ – Bolon, the 3rd generation Swedish flooring company introduced flooring that is 100% phthalate free. Phthalates are substances added to plastics to increase their flexibility – ugh. 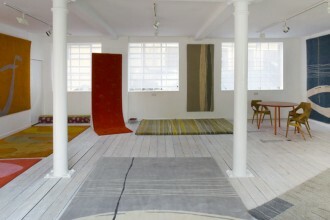 Their newest collection, called ‘Silence’ is as the name implies, a collection that offers sound insulation. 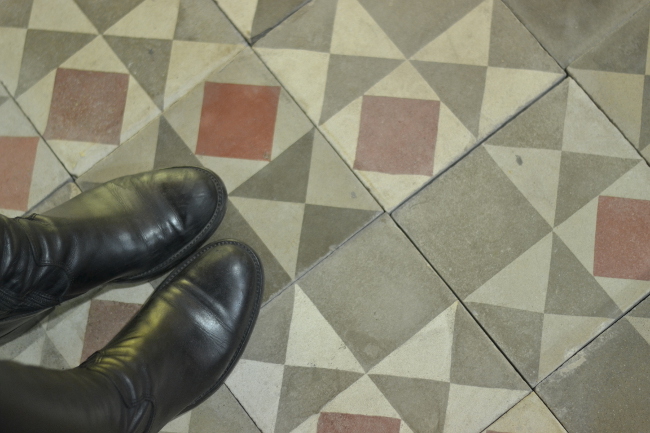 Also under the heading of ‘green’, Bert & May had an entire workshop set up illustrating the craft of tilemaking. Hard not to dig in and get our hands dirty! This being our first night in London, we knew we needed sustenance and sofas, so we headed out of Design Junction and across the way to the The Old Crown pub where we hung out in a private room with some of Modenus’ ever-growing circle of bloggers, editors and designers. After catching up and having a bit of pub food – we headed back to our swanky London digs. 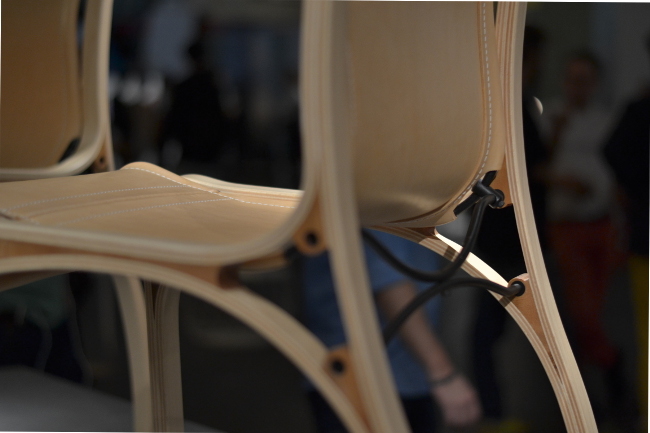 More about that as we cover day two – 100% Design.